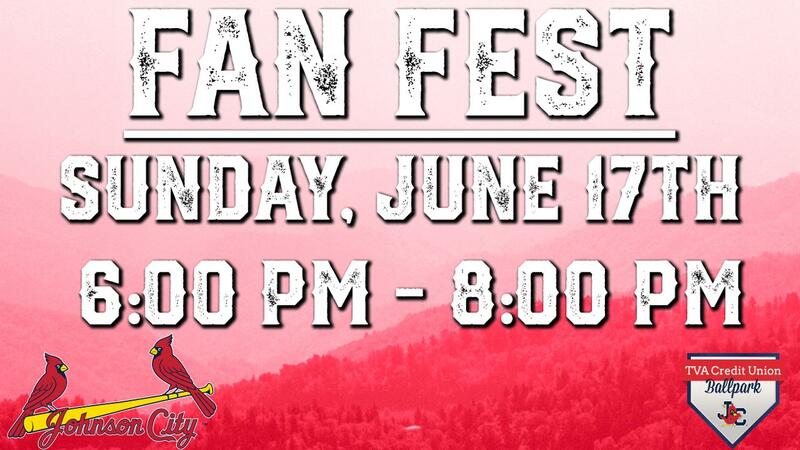 JOHNSON CITY- The Johnson City Cardinals have announced that the team will host a Fan Fest on Sunday, June 17th at TVA Credit Union Ballpark from 6:00 pm - 8:00 pm. The event is free admission for all fans who attend. The event will feature free food samples of new food that can be seen at TVA Credit Union Ballpark throughout the 2018 season, meet the team autographs, a chance to meet the Johnson City Cardinals Staff, on-field games, and much more! "We are really excited for fan fest this year because it's our first opportunity to show all of our fans all of the exciting new features we've added to TVA Credit Union Ballpark," added Johnson City Cardinals General Manager Zac Clark. "I think our fans are some of the best fans in the country and we can't wait for them to see what we have in store for them this summer!" The Fan Fest will allow Johnson City Cardinals fans to see a first glimpse of the ballpark before opening night kicks off Friday, June 22nd. Fans who have already purchased season tickets for the 2018 season will be able to pick up their tickets at Fan Fest on Sunday. The Birdhouse Store will be open featuring all of the new merchandise that will be showcased for the 2018 season. The Cardinals will commence their 2018 home campaign against the Kingsport Mets on Friday, June 22, 2018. 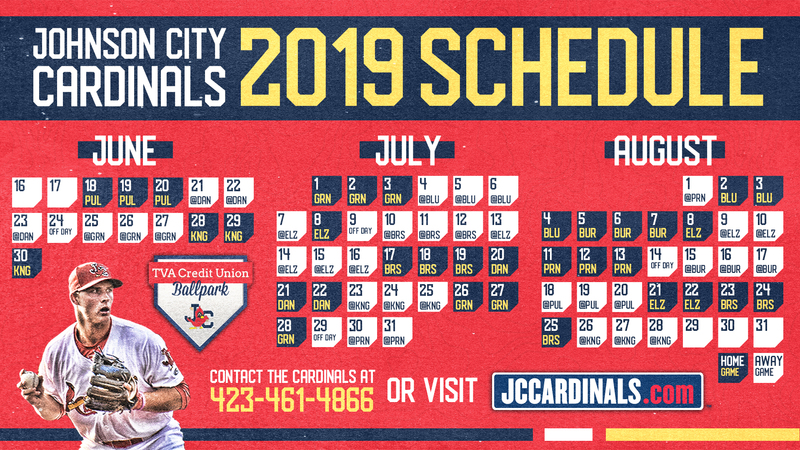 The full schedule for this season and season ticket information can be found online at jccardinals.com, or by calling the Cardinals Ticket Office at 423-461-4866.